birthday wish, recorded in her voice through Whatsapp! flowers, cake and a cute teddy! ensures that, I get to eat all my favourite food stuff! posts, this weekend, so that, I do not miss out on reading other blogs. WOW! could see from the pics how much you enjoyed your b'day party.The flowers sent by yr sis are just p r e t t y. the cake, the books sent by Privy, yr time spent with office colleagues etc are just lovely.These memories are a treasure. 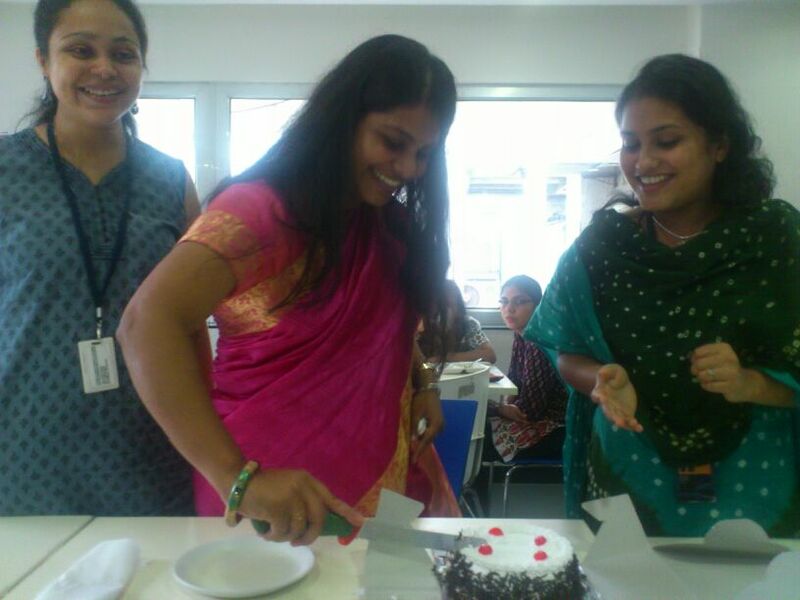 I enjoyed a lot on Monday in office….laughter, jokes, times pass….and lots of FUN!!!! HUGS darling… just a reminder to you – YOU ARE LOVED no matter what! Wow! Beautiful birthday moments here! Love those flowers in the last pic. Were they a handmade gift from someone? They're really pretty.